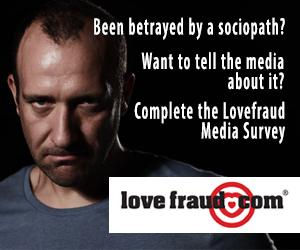 Maybe you are one of many Lovefraud readers in a court battle with a sociopath divorce, child custody, or other litigation. 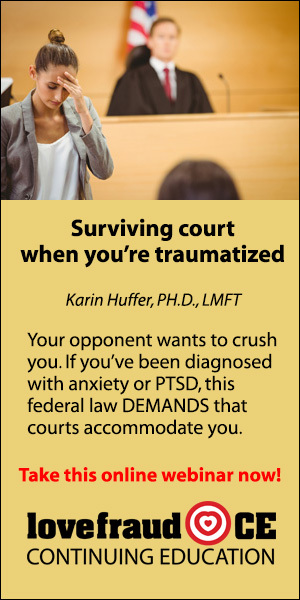 Maybe, when you need to tell the court what you experienced you freeze, unable to speak, or even think. 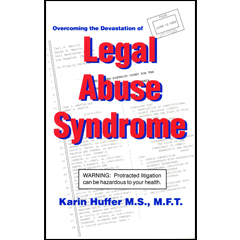 You could be suffering from a psychiatric injury, such as PTSD. According to the Americans with Disabilities Act, if you are diagnosed, you are entitled to accommodations to allow you equal access to the judicial system. Accommodations may include breaks if you become symptomatic, permission to tape record proceedings, and more. Do you know about this? 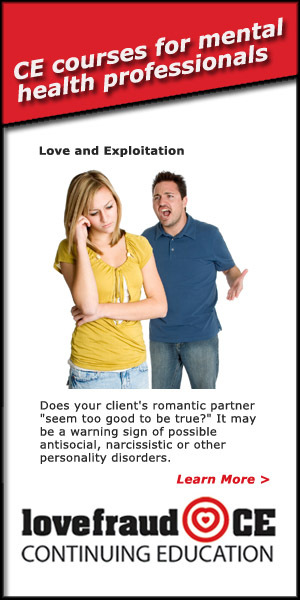 Does your therapist know? 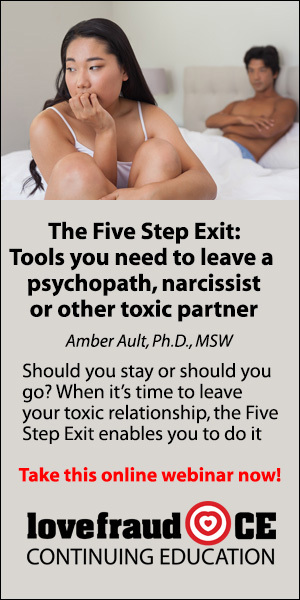 Dr. Huffer explains how people become traumatized when dealing with power-centered individuals (aka sociopaths, psychopaths and narcissists). 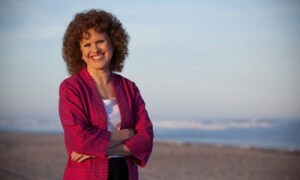 She explains how deception affects the brain. And she explains how the ADA can help. 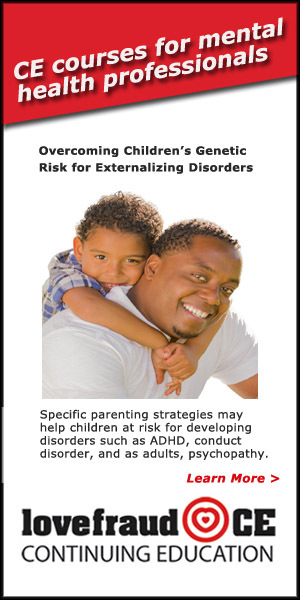 This course is geared toward mental health professionals. 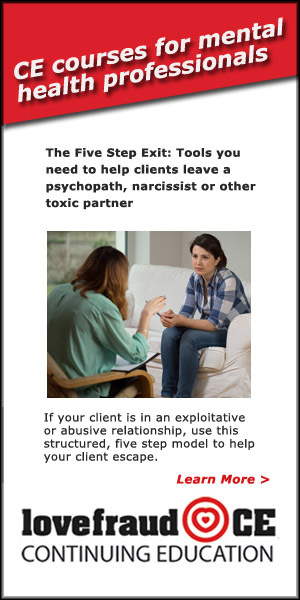 However, Dr. Huffer will soon offer another course to help survivors, if you’re the person who must deal with the sociopath in court. 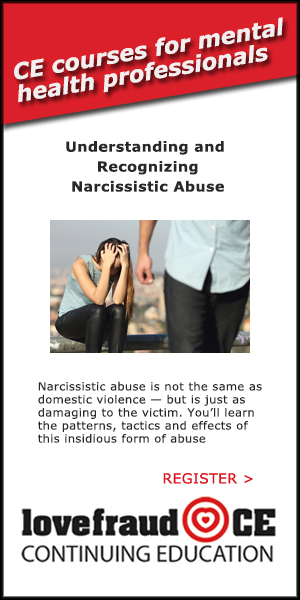 I encourage all therapists to take this course and become familiar with the provisions of this federal law. 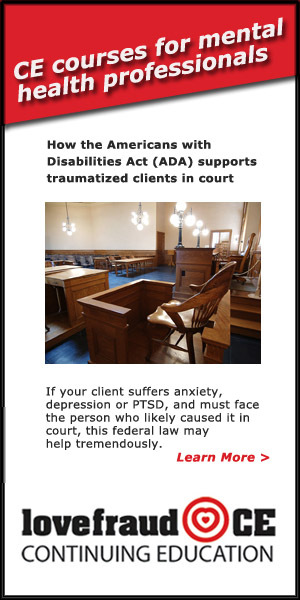 If your therapist doesn’t know about the provisions of the ADA and most don’t perhaps you can suggest that he or she take the course. 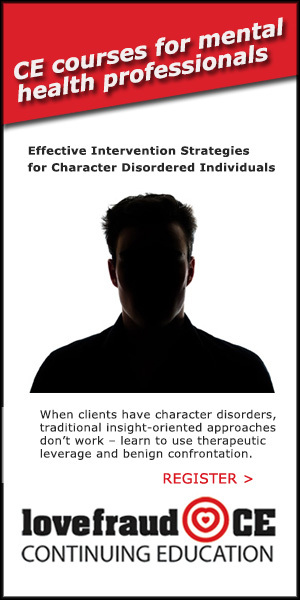 Continuing education credits are available for therapists. For anyone who can’t make the program date, it will be recorded, and the on demand version also offers continuing education credits. 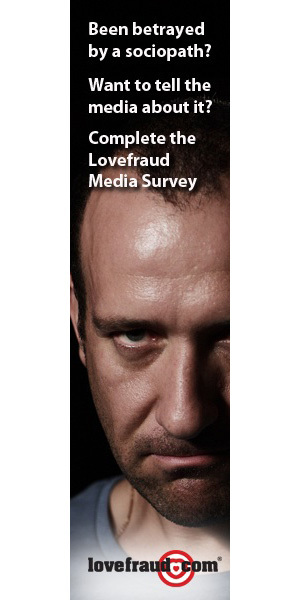 Plus, get a free ebook with any purchase of a Lovefraud CE course. 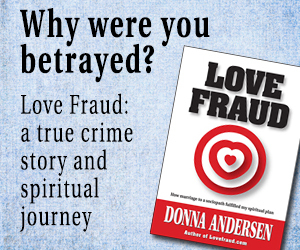 Choose from Red Flags of Love Fraud, the Red Flags of Love Fraud Workbook, or Love Fraud.